Rockwell Automation On The Move – STOBER Drives Inc.
Are you in the Little Rock area? Do you have questions about STOBER? Come see us at the Rockwell Automation on the Move in Little Rock, Arkansas August 22 and 23. The upcoming event will be held at the Statehouse Convention Center. 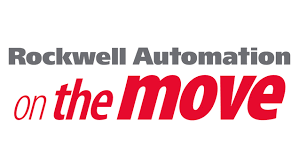 We are a Rockwell Encompass partner and will be highlighting our gearboxes, geared motors, rack and pinion drives, and safety brake. Several of our products are Rockwell Enabled. Visit our booth to learn more.